Senate Minority Leader Chuck Schumer said Thursday he could not support Supreme Court nominee Neil Gorsuch. Schumer said he would join a filibuster of Trump’s SCOTUS pick. The Democrat strategy this year has been to deflect and delay. So far it has worked very well for the minority coastal party. Judge Neil Gorsuch, President Trump’s pick to serve on the U.S. Supreme Court, faced a critical blow on Thursday as Senate Minority Leader Charles E. Schumer (D-N.Y.) said he would join with other Democrats in filibustering the nomination — a move that could complicate his confirmation and lead to a total revamp of how the U.S. Senate conducts its business. 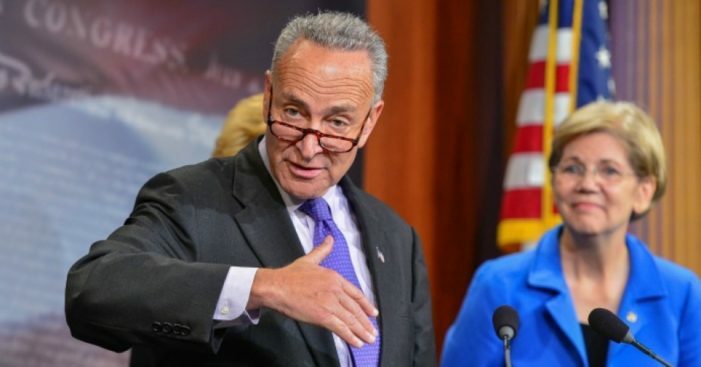 Since last year’s elections, Democrats have threatened to force Trump’s Supreme Court nominees to clear procedural hurdles requiring at least 60 senators to vote to end debate and proceed to a confirmation vote. Republicans are eager to confirm Gorsuch before an Easter recess next month, but with few Democrats expressing support for Gorsuch, they have threatened to change Senate rules to ensure the judge’s swift confirmation — a move that would allow Supreme Court picks to be confirmed with a simple majority vote. On Thursday, Schumer warned that they should focus instead on changing Trump’s nominee. “If this nominee cannot earn 60 votes — a bar met by each of President Obama’s nominees, and George Bush’s last two nominees — the answer isn’t to change the rules. It’s to change the nominee,” he said.